A tempering valve is a valve that blends hot water with cold water to ensure constant, safe shower, bath and basin outlet temperatures, preventing scalding. It is a requirement under the Australian Standards to supply water not exceeding 50 degrees Celsius to areas used primarily for personal hygiene. Cold water expansion valves are fitted to the cold water inlet to water heater, downstream of the inlet non-return valve. This valve acts as the relief valve in the system and is set at a lower pressure than the temperature and pressure relief valve. The cold water expansion valve will discharge small amounts of cold water as the heater cycles and heats the water creating pressure. By releasing cold water instead of hot, this valve makes the unit more efficient and saves the owner money. There are minimum requirements for thermal insulation on pipework associated with the hot water heater, these are outlined by the Australian Standards. Insulation is required to minimise heat loss and ensure the heater is operating at maximum efficiency. Australian Standards state water heaters, supported on a surface that may become wet shall be installed to allow a free air circulation between the surface and the base of the water heater unless stated otherwise in the manufacturer’s written installation instructions. Air conditioning and heat pump systems incorporating a compressor shall be provided with a lockable isolating switch installed adjacent to the unit, which isolates all parts of the system including ancillary equipment, from the same location. Exception: The isolating switch may be installed at the switchboard supplying the system if the switchboard supplying the system if the switchboard is dedicated to the equipment (e.g an air conditioning plant room). This work will require a fully licenced electrical contractor to perform the installation. Restricted electrical licence holders cannot perform the installation of the switch. Other variations may be required when changing hot water heater models (i.e. changing from electric to solar) where pipework may require major changes. The installation and the replacement of a hot water heater or tempering valve also require the submission of a form 4 (notifiable work) to the state government and the property owner. This form attracts a lodgement fee of $26.80 (electronic lodgement) or a $30.00 fee if manually lodged. Owners should beware if they are not receiving a form 4 at the completion of the installation / repair, the work could be substandard or corners could be cut creating a possibly dangerous and non compliant installation and voiding the units warranty. Any and all work relating to the installation and maintenance of a hot water heater is regulated work requiring a plumbers licence. Unlicensed persons performing regulated work face prosecution and large fines not to mention the insurance problems this can create. Insurance claims made in regards to damage caused due to illegally performed plumbing will not be covered by the insurance company. Recent Replacement of Burst Hot Water System due to wrong temperature, pressure relief valve installed. This is what can happen if you do not have a hot water specialist service your hot water system every five years as per most manufacturers recommendations or installation manuals. The bottom of this hot water storage tank has reversed or popped, in other words gone from concave to convex. This has been caused by a handyman and not a hot water professional replacing the safety or pressure, temperature relief valve with the incorrect pressure rating type. What has happened in this situation is the thermostat has not shut off when it has reached the set temperature and kept heating to a higher temperature. The safety or pressure, temperature relief valve is exactly that, a safety valve, it is designed to open when the temperature in the hot water unit rises above 99 degrees or if the thermostat jambs on or, the water pressure rises above in this model system 1000 kpa. Because the valve that was replaced is the incorrect one and has a much higher pressure rating it has not opened to allow the build up of pressure to escape and therefore the whole tank has been ruined. The bottom of the steel tank has reversed causing the colorbond bottom of the tank to be forced off and the hot water system to fall over onto a terible leaning angle. The connecting water pipes have been badly kinked and damaged and therefore the whole system required replacing. A form 4 and attached fee now has to be paid after the installation of a new hot water sytem to the Plumbing Industry Council, a government department which is the responsible body all over Queensland for this type of regulated work. Changes have to be made if the current overflow discharge pipe from the hot water unit does not drain to an approved point. A cold water expansion valve is now required by law as well to be fitted on the Gold Coast and this drain has to go to the same point as above. 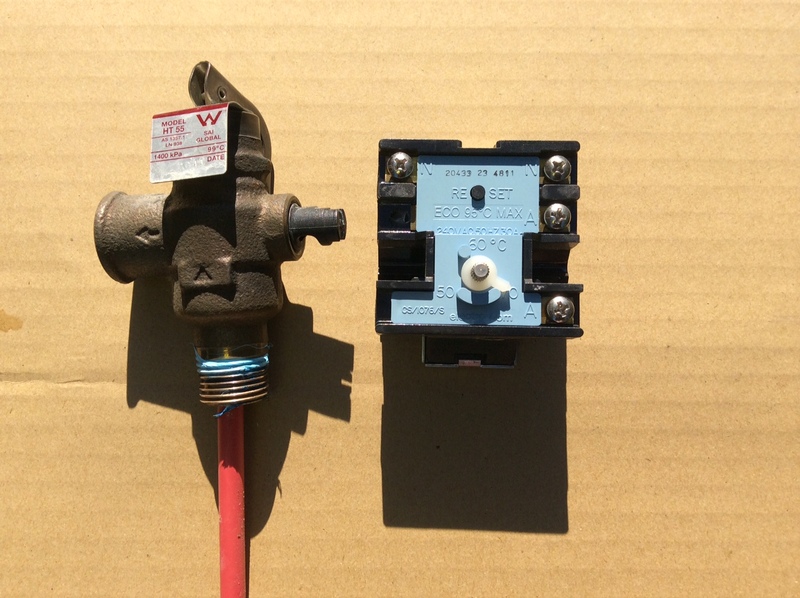 Previously cold expansion valves had not been required by the Gold Coast Council. A plumber is not fully licensed to repair or replace electric hot water systems without a restricted electrical license or not engaging an electrician to disconnect and reconnect your new hot water system. We hold all of the relevant licenses. This Vulcan 315 litre electric hot water system was more than 17 years old before it started to leak water from the tank which holds the hot water. This was indeed a good life out of the tank so the owners were happy to replace it with the current Vulcan 315 litre electric model which we did. 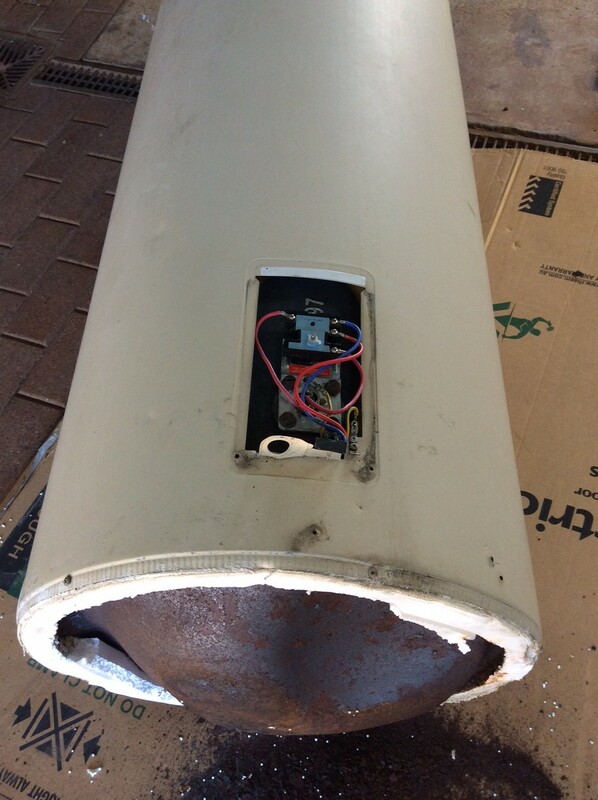 Due to the change in the Queensland Government plumbing regulations the new installation had to be brought up to date with several new requirements including: A hot water tempering valve had to be fitted to control the temperature to a maxium of 50 degrees at all bathing areas, insulation had to be fitted to the hot, warm and cold sections of the connecting water pipes. A form 4 and fee now has to be paid after the installation of the hot water sytem to the Plumbing Industry Council, a government department which is the responsible body all over Queensland for this type of regulated work. Changes have to be made if the current overflow discharge pipe from the hot water unit does not drain to an approved point. A cold water expansion valve is now required by law as well to be fitted on the Gold Coast and this drain has to go to the same point as above. 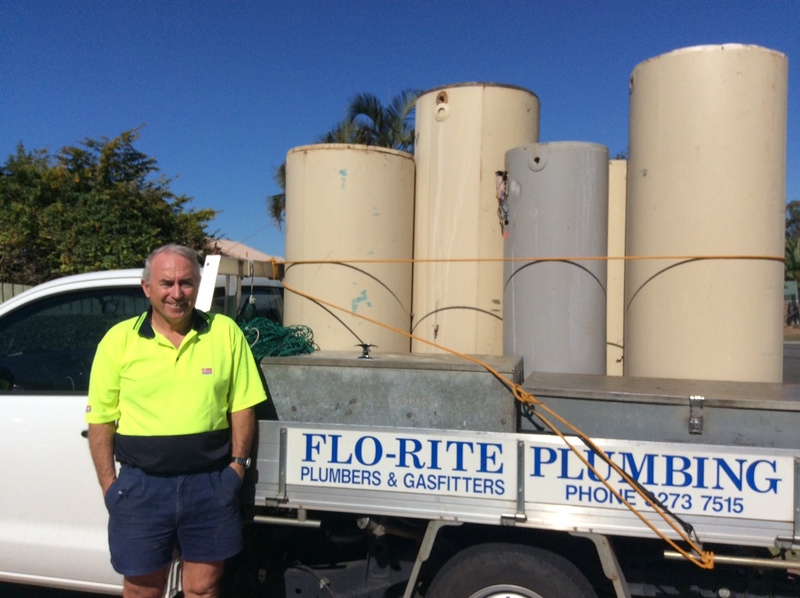 Previously cold expansion valves had not been required by the Gold Coast Council. A plumber is not fully licensed to repair or replace electric hot water systems without a restricted electrical license or not engaging an electrician to disconnect and reconnect your new hot water system. We hold all of the relevant licenses. How long does it take to grind food waste in my insinkerator or garbage disposal unit? Depending on which model insinkerator or emerson garbage disposal unit or garbage gobbler you have, it can take anywhere from a few seconds to a few minutes depending on what type of food waste you are trying to get rid off. The sound of the motor in the disposer will change when there is no more food in the grind chamber. After all food waste is ground, turn off the disposer and let the water keep running for about 15 seconds to flush out the grind chamber and the plumbing waste pipe connecting to the u bend or trap under the sink. Every so often I like to put a couple of trays of ice cubes down the machine which seems to make the motor sound quieter. 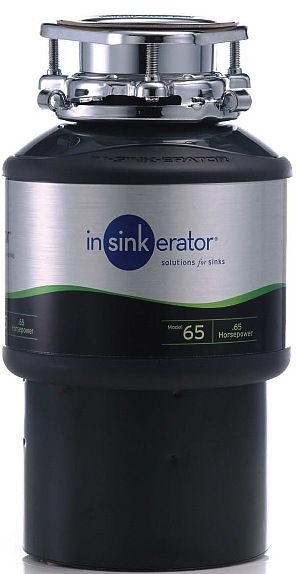 If you are having this or other problems with your insinkerator contact us.